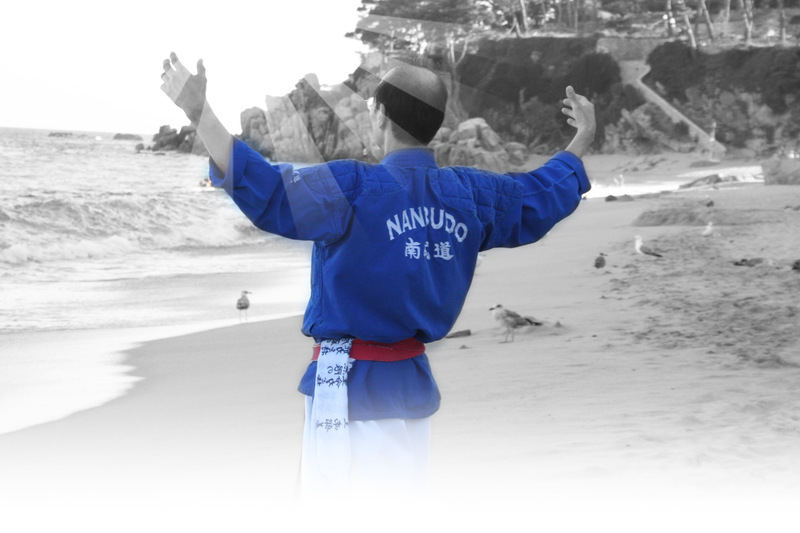 Nanbudo is practiced in unique uniform called Nanbudo Gi which was designed by Nanbu Doshu Soke, the founder of Nanbudo. 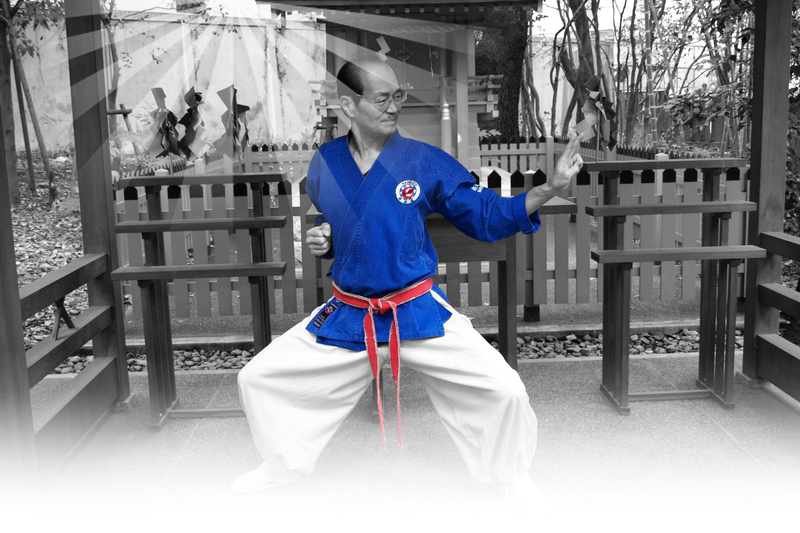 Special design ensures the ease of movement in performing of Nanbudo techniques. Kimono (uwagi) is the upper part of the uniform. The shoulder part is lined to provide extra protection at techniques of falls. 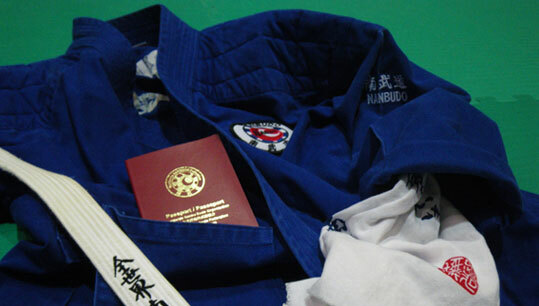 It has two pockets in which the practicioner can keep the handkerchief, Nanbudo Passport, etc. Nanbudo emblem is placed on the front-left side of kimono. Two Nanbudo signs along with kanji are found on the back (larger) and on the left sleeve in the upper-arm part (smaller). The upper-arm part of the right sleeve is where club or federation emblems can be worn. 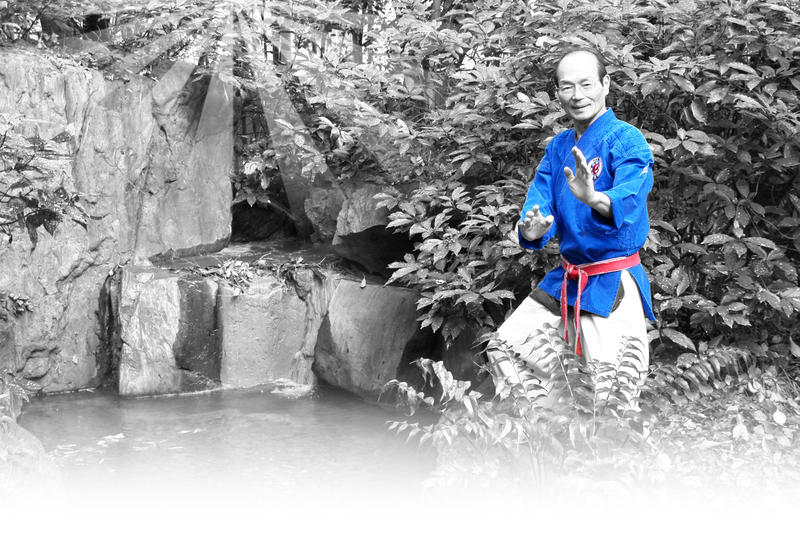 Nanbudo kimono comes in blue or white color. Students of all grades, kyu and dan, can choose either of them. Pants (zubon) are also specially designed to make leg and sweeping techniques as unimpeded as possible. They are wide enough and equipped with cord at the ankle level to tie trouser legs tight to make one’s footing sure. Pants come in white color. Belt (obi) is tied around the waist in the appropriate color representing practitioner’s grade. Dan grade holders wear personalized belts with their name in Japanese on one side of the belt and a Worldwide Nanbudo Federation kanji on another. Hachimaki is a headband that can be used to wipe the sweat, to protect the head from the sun in outdoor training sessions, etc. Hachimaki should be white with Nanbudo related images and writings. When hachimaki is not used it should hang from the belt on the left side of the body. Hakama is a skirt-like pants that was traditionally worn by samurai. Nanbu Doshu Soke introduced a stripe-patterned hakama of Nanbu family to Nanbudo. It is worn by instructors, both male and female, with dan grades on special events, like exams, manifestations, demonstrations, etc. Price and control panel to Give. Possibility of delivery directly to the clubs, inquire for the fare.